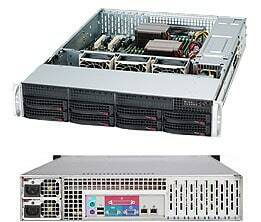 These are our 2U single CPU systems based on AMD Epyc 7000 series CPUs. With the high core count of the Epyc, this can replace previous generations of dual and quad CPU configurations. To get more information on the components listed here, please click on in front of the lines. There are choices for all the major components. After making the selections, please go to the bottom of this page, and click to calculate the total price and get a printable page.